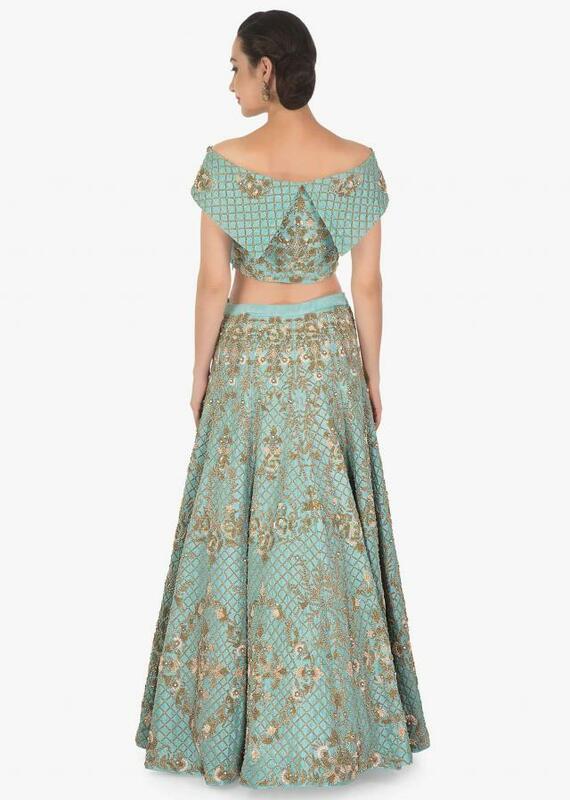 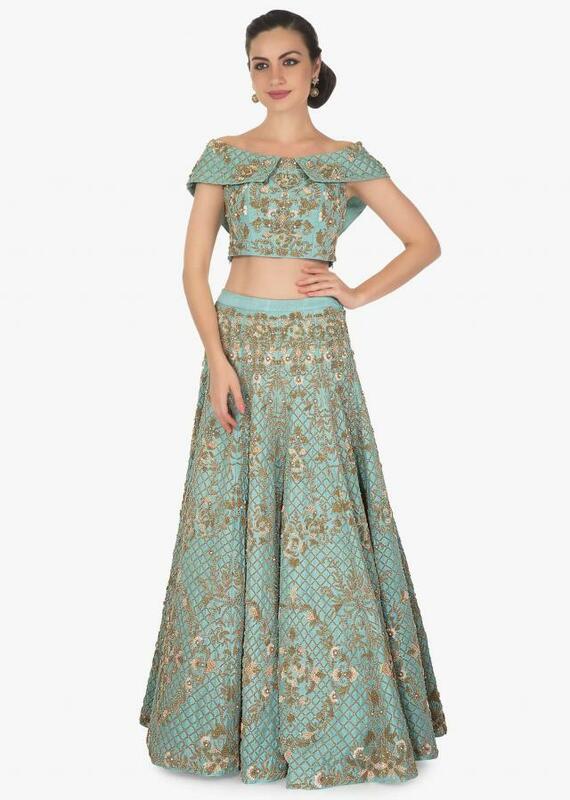 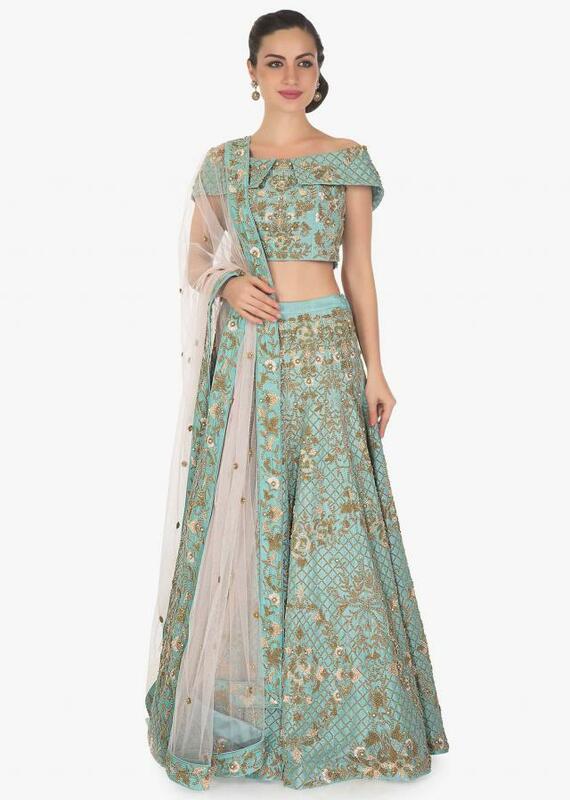 Turq blue lehenga set featuring in raw silk. 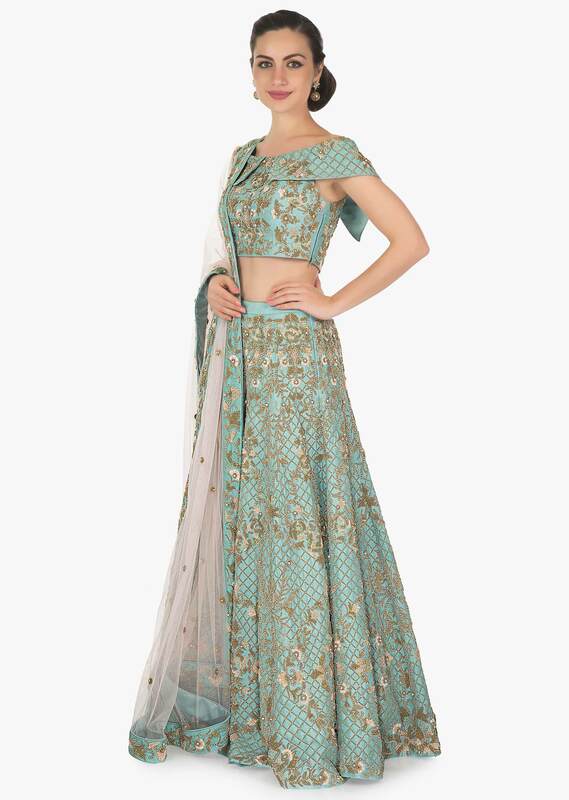 Its embellished in zardosi and moti embroidery all over. 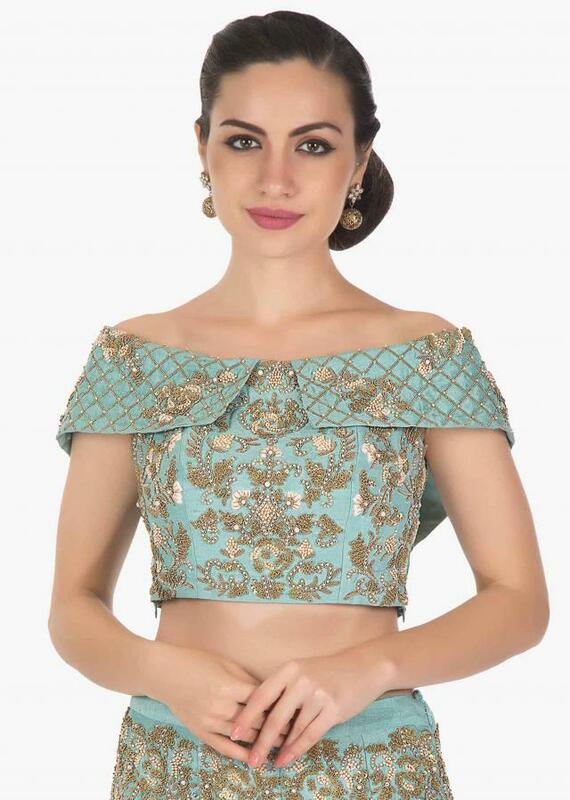 Blouse neckline is highlighted in off shoulder. 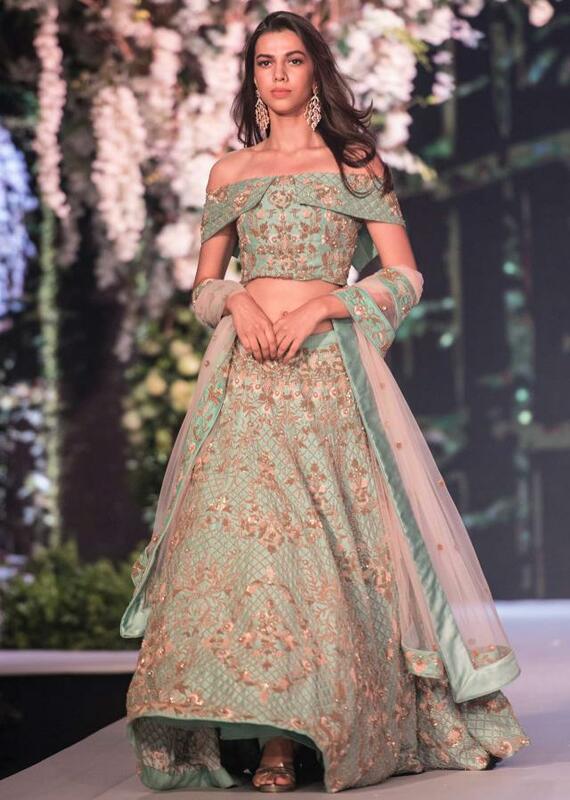 Matched with baby pink net dupatta.